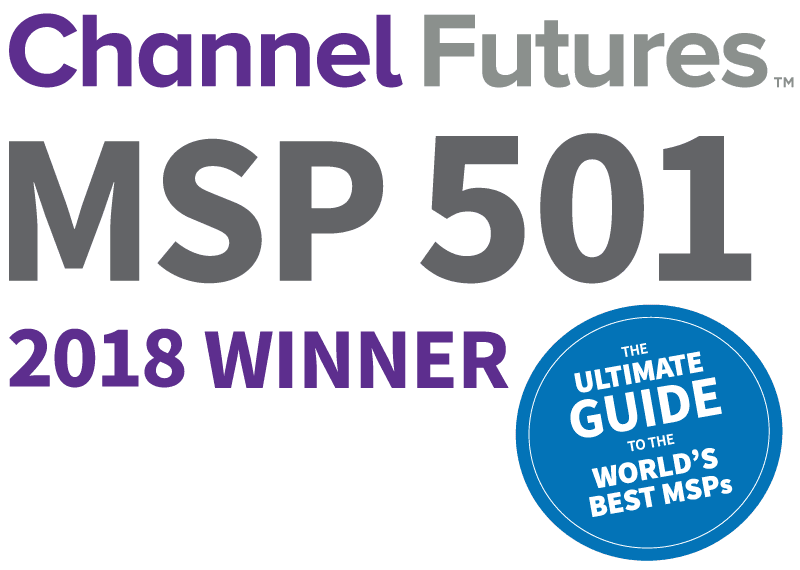 Peters & Associates is honored to have been awarded a spot on Channel Futures’ MSP501 2018 Edition. This is the IT industry’s most comprehensive ranking of Managed Services Providers (MSPs) worldwide. Channel Futures selected MSPs with forward-thinking business strategies and the ability to anticipate and act upon trends in the fast-evolving IT channel market. A managed service provider, or MSP, is a company that provides support to the business functions of organizations on a recurring basis. This can involve the practice of outsourcing, on a proactive basis, IT manager’s responsibilities and functions. MSPs can completely replace your IT department or just help to support your existing IT staff. Hiring an MSP is usually a part of a strategy intended to improve operations and cut expenses. MSPs are a great resource for companies who want to expand their capabilities without making a large upfront investment. How are companies chosen for the MSP501? As it has for the last three years, Channel Futures teamed with Clarity Channel Advisors to evaluate progressive and forward- leaning companies. Data was collected online from February 28 through May 31, 2018. MSPs were ranked according to Channel Futures’ unique methodology, which recognizes that not all revenue streams are created equal. They weighted revenue figures according to how well the applicant’s business strategy anticipates trends in the fast-evolving channel ecosystem. Channel Futures, Channel Partners Online, Channel Partners Conference & Expo and Channel Partners Evolution are part of Informa, the international business intelligence, academic publishing, knowledge and events group. Informa serves commercial, professional and academic communities, helping them connect and learn, and creating and providing access to content and intelligence that helps people and businesses work smarter and make better decisions faster. What does this mean for Peters & Associates? Peters & Associates provides managed IT services through our PULSE offerings. We have the ability to completely replace your IT department with PULSE complete, or just provide ongoing support to certain functions of your organization. This can be as specific as server or firewall management, or as broad responsibilities like end user or network management. We strive to provide the best service possible to all our customers. To us, the best services we can provide are personalized solutions with an eye toward the future of the tech industry. Honors like being placed on Channel Futures’ MSP501 list reinforce that we are equipping ourselves to serve our clients well. If your IT department could use cost-effective support and you’d like to discuss our PULSE offerings, call 630 832 0075 or email info@peters.com today. Nate Hammond is a Marketing Coordinator at Peters & Associates focused on providing the most up to date information for our clients on industry trends as well as our news and events. He has spent extensive time studying Analytics, Machine Learning, Business Intelligence, and Social Media while pursuing his accelerated degree at the University of Illinois at Chicago with honors.